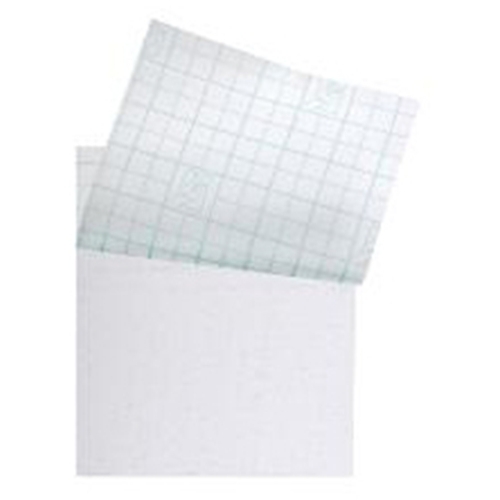 Opsite Flexigrid Transparent Wound Dressing from HealthyKin.com is an adhesive film, with a unique wound measurement grid. The film is moisture vapor permeable, conformable and extensible. It is widely used to provide a moist wound healing environment for superficial wounds; it is also ideal for use as a secondary dressing. Opsite Flexigrid has set the standard in moist wound healing by retaining the natural wound exudate. Opsite Flexigrid provides a high moisture vapor permeability allows excess exudate to evaporate, helping prevent skin maceration. The Opsite Flexigrid film is highly extensible and conformable, which combined with its high moisture vapor permeability, means the dressing can be left in place for up to 7 days. This minimizes interference at the wound site and reduces the amount of nursing time required. Opsite Flexigrid is resistant to water and body fluids, allowing the patient to bathe without changing dressings. It also aids in the prevention of bacterial contamination. Opsite Flexigrid provides a simple and effective application system. The flexible carrier enables single handed application allowing the dressing to conform to the contours of the body. Its transparency enables accurate positioning over the wound site. Opsite Flexigrid has been designed to be adaptable for use on all areas of the body. It can be easily cut into strips or shapes for application to awkward areas such as heels, elbows and knees. Opsite Flexigrid incorporates a unique wound measurement device which allows simple but accurate assessments of the healing process to be made. After tracing the edges of the wound, the Flexigrid carrier can be removed and stored in the patient's notes. Really dislike these and unfortunately ordered a bunch so waste of money and shipping costs. They are absolutely impossible to apply. I have tried numerous times and have read all of the instructions. I do not like them!